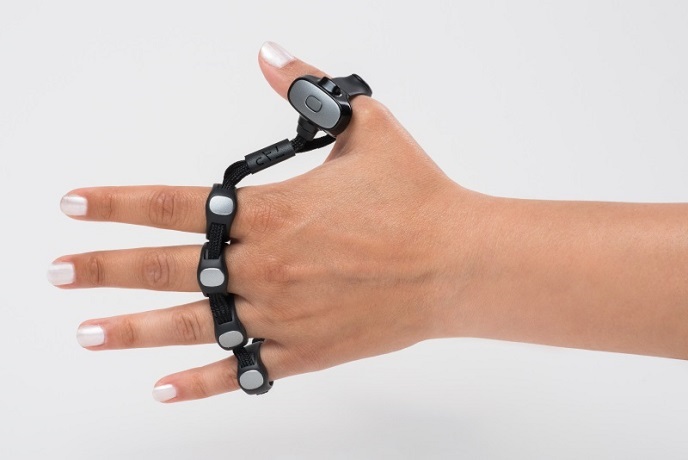 Tap is a wearable keyboard, mouse and game controller that connects to most Bluetooth enabled devices. Compatible with: IOS 9+, ANDROID 5+, OS X YOSEMITE+, WINDOWS 8.1+, LINUX UBUNTU and Bluetooth 4.0+ Devices such as Hololens, HTC Vive and Oculus Rift. Tap is engineered from advanced, biocompatible materials which allow for free movement and comfort while you tap. Tap comes in two sizes and has a micro-size battery which provides 8 hours of operation.